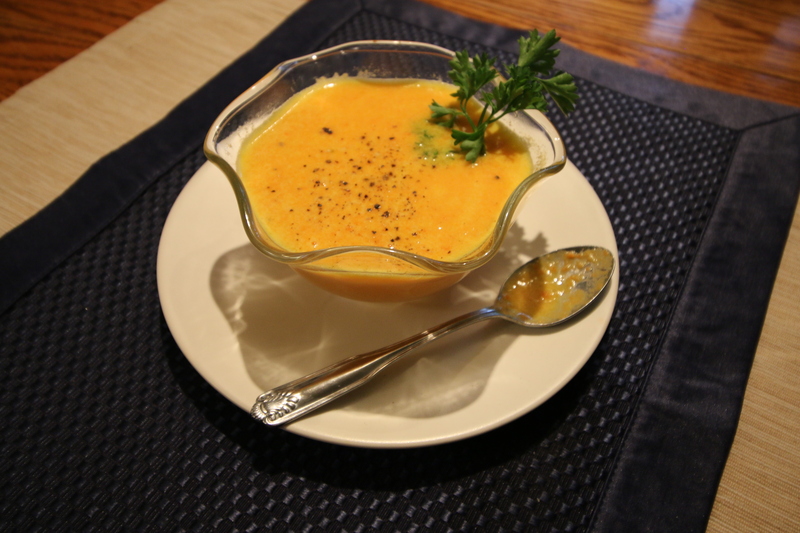 As the colder weather sets in and the gray days get shorter, it is time for soup season to begin! This is one of my favorite soups to transition from the long summer days outside into the cooler autumn afternoons in my kitchen. My beloved soup pot eagerly awaits this treasure! The rich colors and flavors of root vegetables paired with the zing of fresh ginger make this a deliciously light meal that packs a nutritional punch. Lots of vitamin C and antioxidants boost the immune system for the cold and flu season right around the corner. I like to add steamed kale and roasted chicken to my zinger soup to make it a full meal deal with plenty of protein and leafy greens. InJoy! 1) Heat the olive oil in a large saucepan over medium-high heat. Add the onion and sauté until translucent, about 5 minutes. 2) Add the carrots, broth, orange juice, ginger, and lemon juice; bring to a boil. 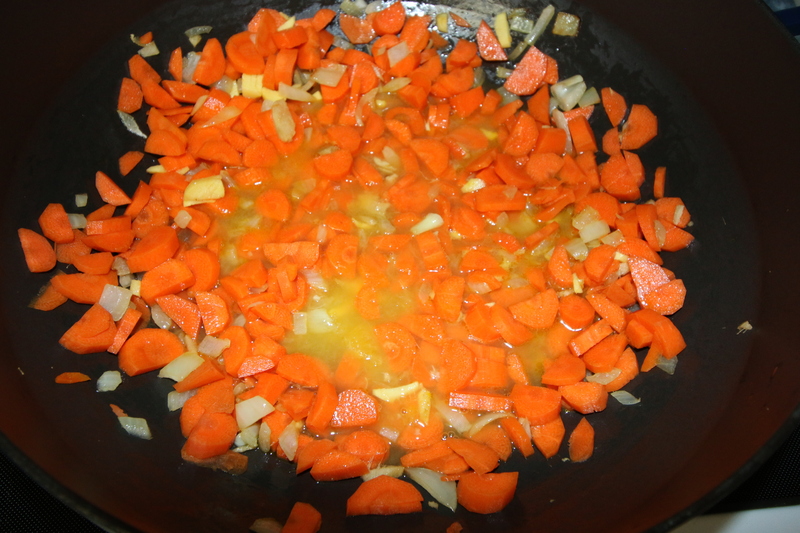 Reduce the heat and simmer, covered, until the carrots are tender, about 20 minutes. 3) Remove from the heat. 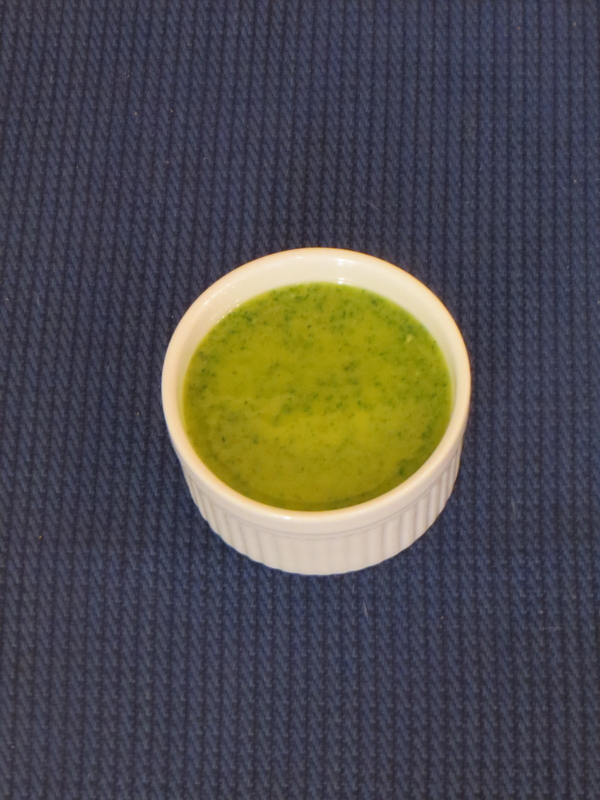 Puree with immersion blender or food processor, until very smooth. 4) Return the soup to the saucepan and stir in the coconut milk, salt, and pepper. Reheat the soup over medium heat until hot. Ladle the soup into bowls and serve. This is the kind of recipe that should always be shared with loved ones. When I know I will be inviting a group of friends over or attending a potluck, I like to prepare the most decedent side dish or dessert I can come up with. The kind of thing I couldn’t consider making on any random day because I would single handedly finish it. Sometimes it’s dates stuffed with goat cheese and wrapped in prosciutto. Other times it’s baked brie drizzled with fresh fruit preserves and slivered almonds. For this weekend’s ladies clothing swap, enter: the homemade Almond Joy Bar. This grain-free, dairy-free, no-bake dessert has six simple ingredients and is incredibly delicious! It was certainly a hit among the 20+ ladies surrounding the snack table in my kitchen on Sunday. Injoy! 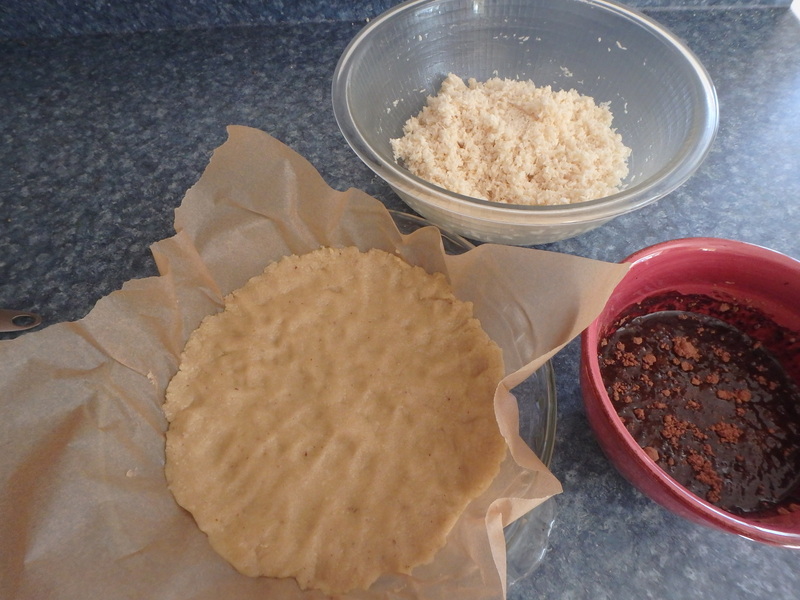 To prepare the crust, combine almond meal, maple syrup, coconut oil, almond extract, and salt in a medium bowl, and stir well until dough is formed. Press it evenly into the bottom of the lined loaf pan, and set aside. To prepare the coconut filling, combine all of the filling ingredients in the mixing bowl and stir well. Spread the coconut mixture over the crust, then use a spatula to smooth the top. Set aside. To prepare the chocolate topping, combine all of the ingredients in the mixing bowl and use a whisk to create a silky smooth chocolate sauce. (If any of your ingredients are cold, this sauce will firm up. If that happens, simply place the bowl in a hot water bath briefly to liquify the ingredients again.) Pour the chocolate sauce over the top of the coconut layer and smooth the top with a spatula. Place the pan in the freezer to set until firm, about one to two hours. 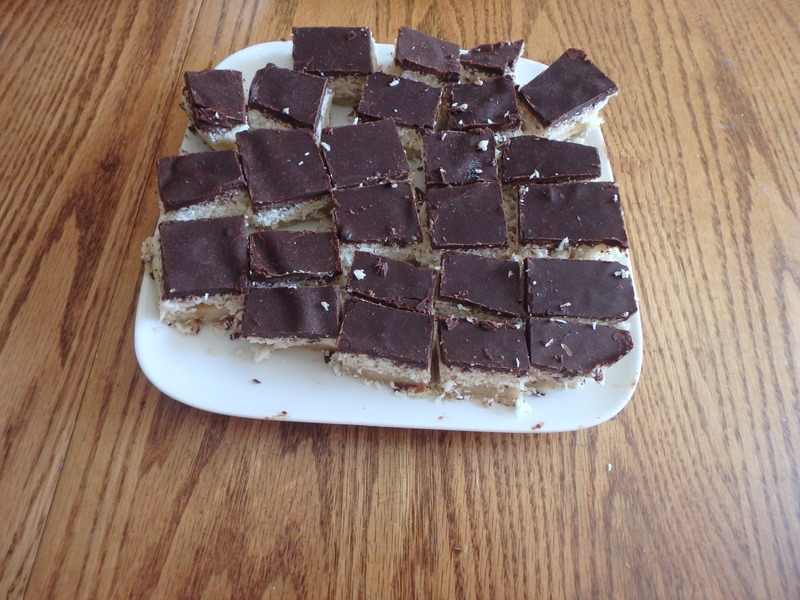 To serve, pull on the parchment paper to easily remove the solid bar from the pan, then slice into bars and plate directly from the freezer. These bars will soften fairly quickly at room temperature, so it’s important to keep them chilled until ready to serve. Injoy! This week has been full of goodbyes. My garden vegetables and herbs spring up with their last hopeful reach for the sun before returning to the earth until next spring. Autumn is right around the corner, so the time has come to bid farewell to long, warm summer nights and hot, sunny days on the lake. And my least favorite goodbye, a good friend Kelly is moving out of state. Portland gets all the cool kids! Like tend I to do, out of necessity in the process or simply as an excuse to cook and eat, I invite Kelly over for one last meal to share before she hits the road. This is also the exact meal at which summer fades into fall within my kitchen. Huge zucchinis and tomatoes plucked from the vines will be replaced by Crockpot whole chickens and bone broth simmering on the stove. For tonight though, we basque in summer, and fresh zucchini with sundried tomatoes and fresh basil pesto is about as much summer flavor as a plate can handle. Grate the zucchinis on a box grater, through the food processor or if you’re super fancy a with a zoodler! Combine all other ingredients besides sun-dried tomatoes in food processor and blend until incorporated, but slightly chunky. Mix in tomatoes by hand. 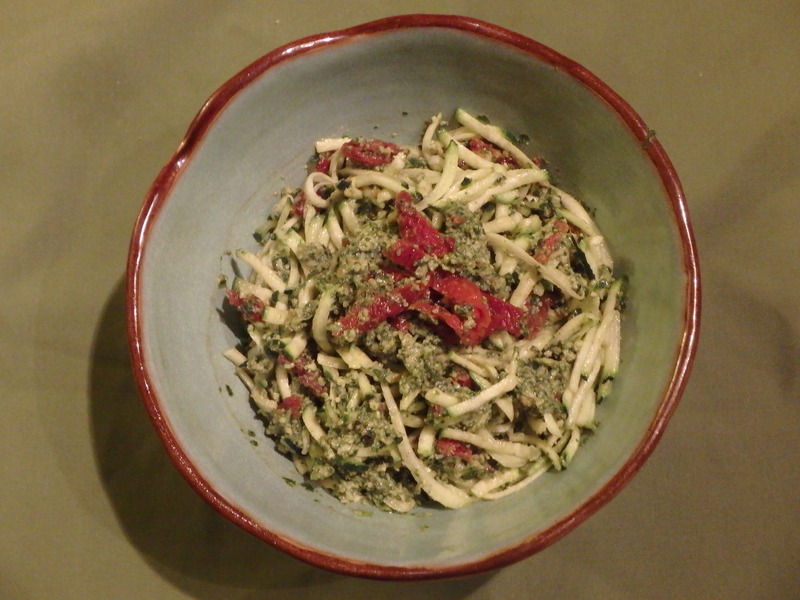 Serve like a cold pasta dish… Place zucchini in a bowl and top with pesto. Viola! Injoy! And farewell, Kelly Dear! 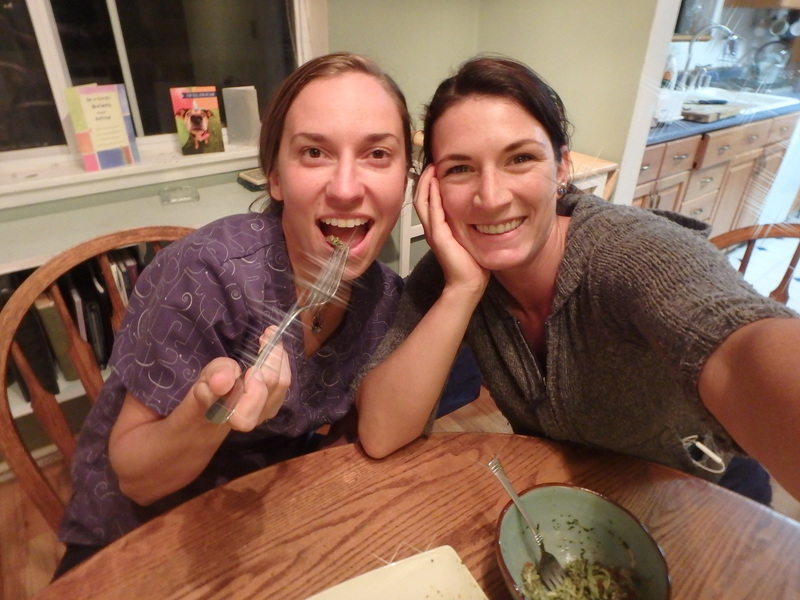 So many well wishes, new meal memories and southward visits coming your way! 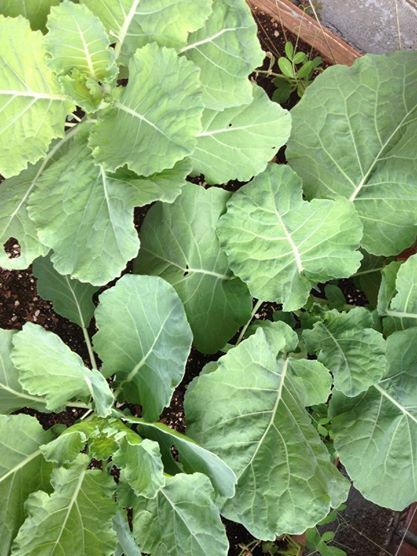 This time of year, my garden begins bursting with fresh, delicious greens and I know it’s time to start putting together my favorite summer snack… Collard wraps! 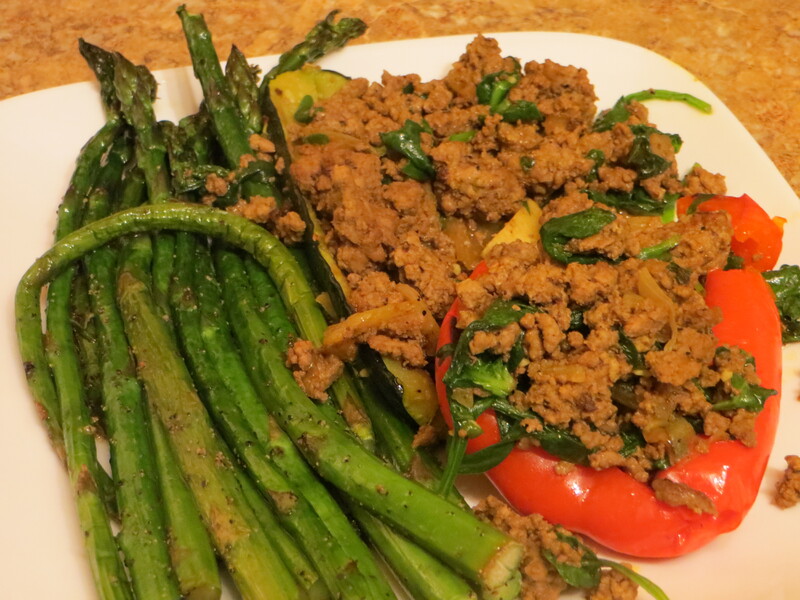 This recipe utilizes lots of fresh veggies and is super simple to put together. 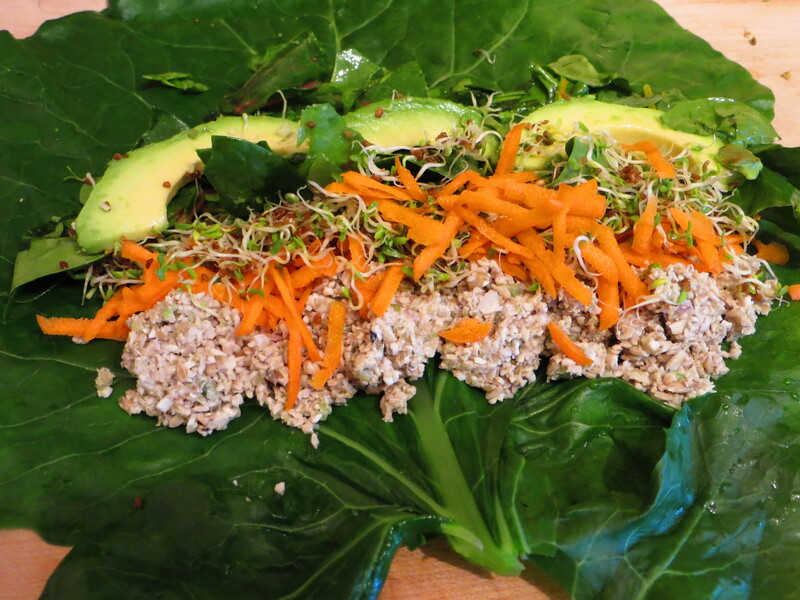 Since myself, and many of the people I know practice a mostly gluten or grain-free diet, these wraps are a crowd pleaser no matter what the occasion. I make them for picnics and potlucks, for lunch at least twice a week and as a delicious and nutritious meal on the trail. They are best when eaten the same day, but can be kept in the fridge for a few days if need be. Injoy! ~Roaster turkey, cheese, salami, tomatoes, pickles, etc. Bring large pot of water to a boil and blanch each leaf for 30-60 seconds until just softened. Gently remove with tongs and set on a plate to cool. 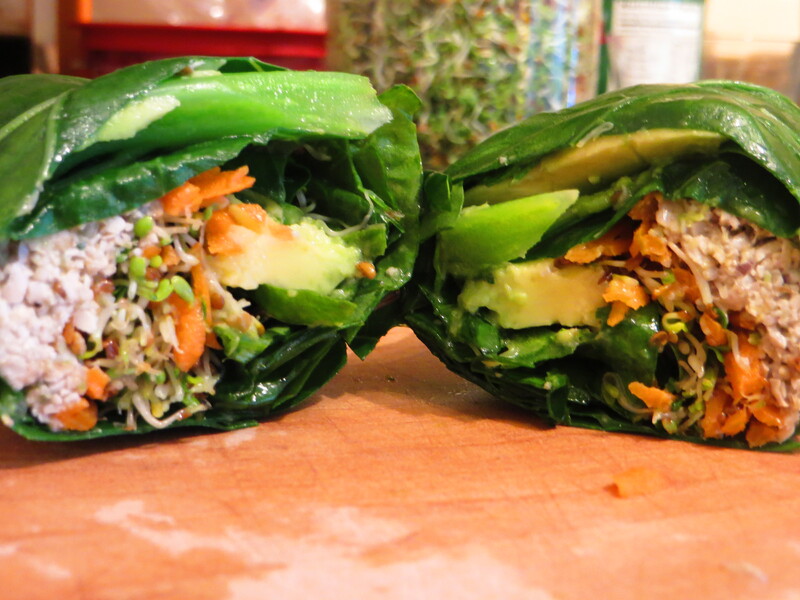 To assemble the wrap, place a collard leaf onto a large plate or cutting board. 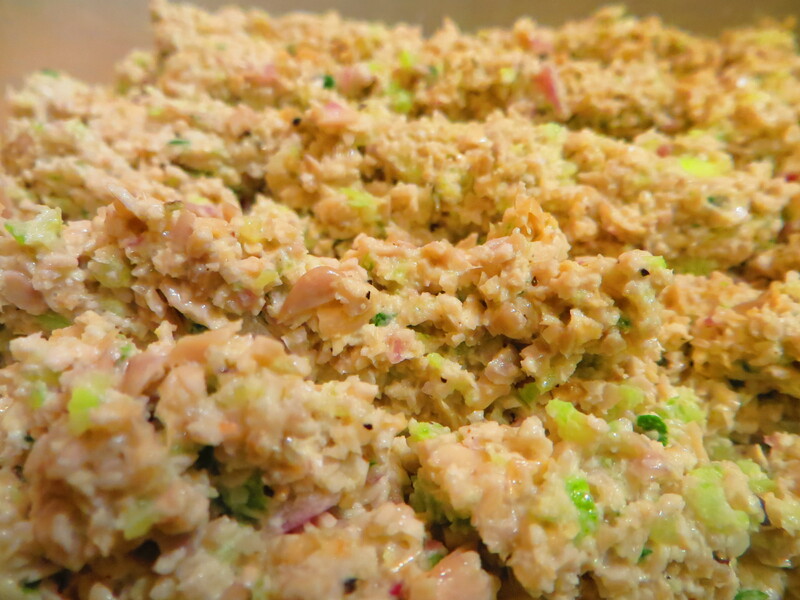 Place a spoonful or two of pate on one end, and add other filling options on top of the pate. Fold the sides over and roll tightly like a burrito. Refrigerate right away or slice and serve. I recently needed a quick, fresh side dish idea for a potluck picnic. This time of year, delicious green beans are in season and offer the perfect spring flavor to any meal. This recipe is a breeze to prepare and with the balance of nutrients in the fresh vegetables and the awesome healthy fats found in walnuts, it is a wonderful complement to a community gathering. This dish can be made ahead of time, but I suggest leaving the walnuts out until serving to maintain crispness. Injoy! Bring a medium sized pot of water to boil. Add green beans and blanch for about 4-5 minutes until tender but still crisp. Drain using a colander and run under cold water to stop the cooking process. Place into a large bowl. Place the walnuts into an 8 x 8-inch baking dish and roast for about 10 minutes. Watch carefully as they burn easily. Place on a plate to cool, then chop and add to green beans. 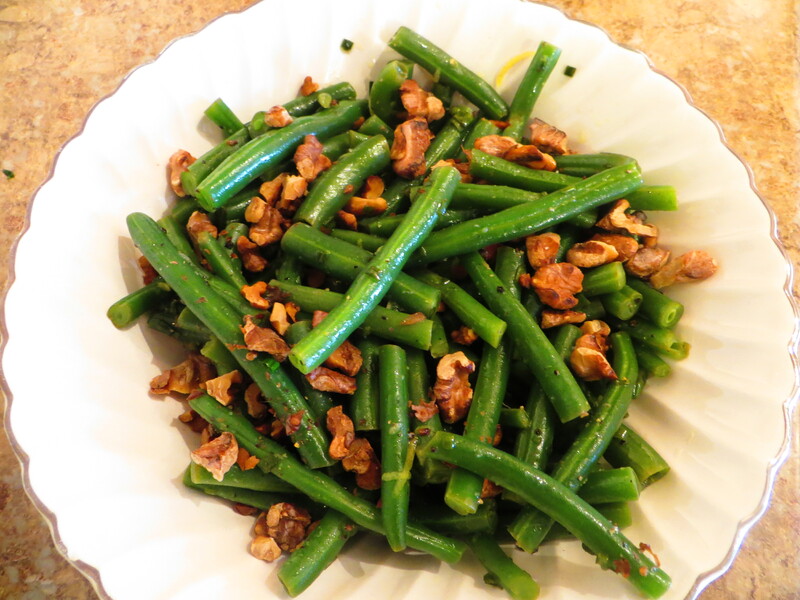 Wisk the remaining ingredients in a small bowl and add to the green beans and walnuts. Injoy!! With the warm summer weather in full swing, it is a great time to play with some fun, frozen, kitchen concoctions! 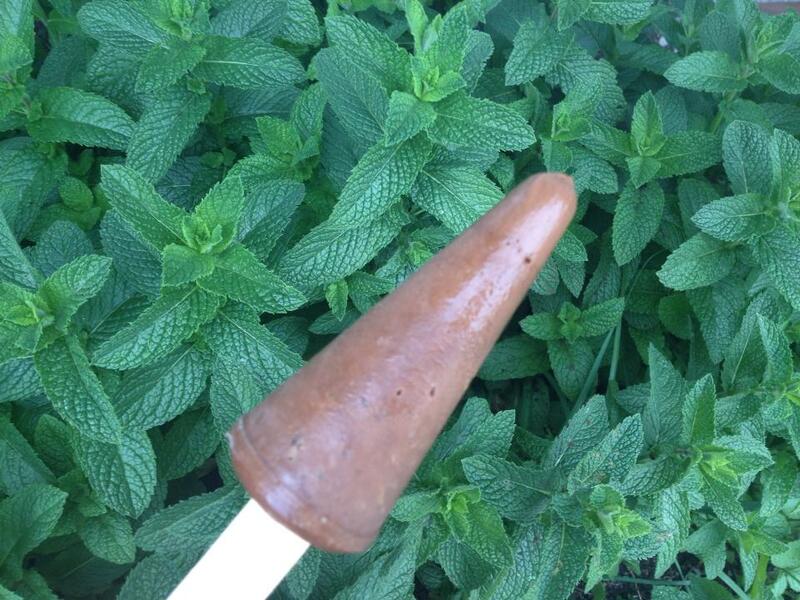 These naturally sweetened fudgesicles are a hit amongst adults and kids alike. The creaminess of the avocado and banana combined with the sweet delicate coconut flavor works wonders in this delicious dessert. In addition, it’s always great to find alternatives to the highly processed, super sugar laden dessert options found in the grocery store. Below are the ingredients lists from two popular brands of fudgesicles. Yikes!! High fructose corn syrup, aspartame, guar gum, carrageenan, artificial colors and flavors, plus loads of other difficult to pronounce chemicals… this is not the stuff you want to ingest or feed to your kids! Carrageenan for instance, is a gumming agent that is known to cause inflammation in the digestive tract, which is the root cause of ulcers, inflammatory bowel disease and certain types of cancer. In fact, drug investigators have actually used carrageenan in the past to cause inflammation in the tissues of laboratory animals in order to test the anti-inflammatory properties of new drugs. 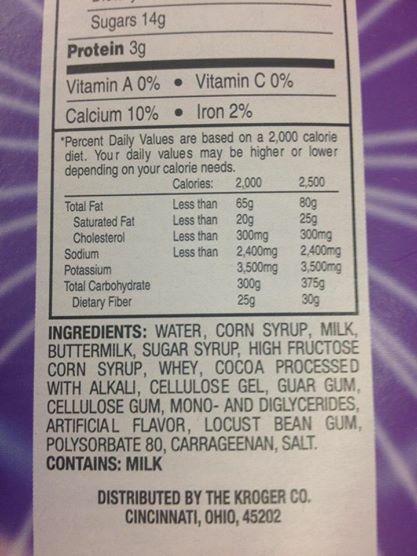 Steer clear of this harmful additive also found in most shelf stable milk alternatives, boxed almond milk, coconut etc. by making your own! The freshness and flavor can’t be beat! Injoy! 1. Place the dates into your blender and cover with water. Pack the dates down so they are completely covered and let soak for 30 minutes. 2. Add remaining ingredients and blend until smooth and creamy. Depending on your blender, you may need to add a little more water or coconut milk. 3. Pour into popsicle molds and freeze for at least 6 hours. Remove by running warm water over the molds to loosen fudgesicles. 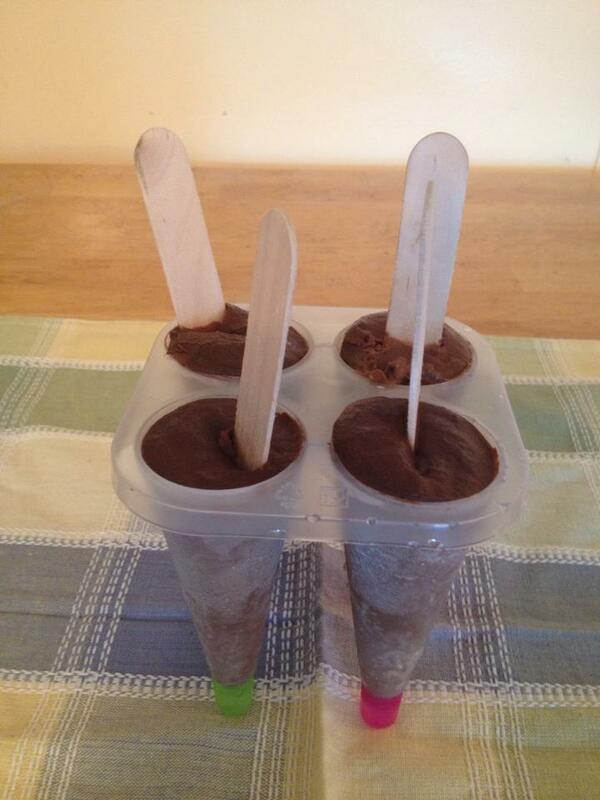 ** This recipe makes 8 fudgesicles, I used half of the quantities to make the 4 pops pictured. Another option is to serve the extra as pudding. It is delicious as a creamy unfrozen desert as well! Injoy! As the weather warms up and picnic season is in full swing, it is a great time to seek out healthy snack options. This sunflower seed pate is a versatile recipe to keep around your kitchen and prepare often. It is delicious as a dip for celery, carrots, cucumber or chips and crackers, is a great spread for sandwiches and an awesome compliment to lettuce or collard wraps. The seeds add a good amount of healthy fats and protein to balance out the carbohydrates in the above meal and snack options, and it is a tasty treat that will keep in your refrigerator for 7-10 days. Injoy! This is a deliciously hearty spring supper. Simple and quick to prepare, stuffed bell peppers are a crowd pleaser every time! I used zucchini and portabella mushrooms in addition to red peppers and served them with a helping of lightly blanched asparagus. Make a larger batch and freeze the leftovers for quick meals throughout the week. Injoy! Place the belle pepper halves facedown in a roasting dish and bake for 10-15 minutes. While the bell peppers are cooking, heat the coconut oil in a large skillet over medium-high heat. Sauté the onion, adding salt and pepper to taste, until translucent. Reduce to medium heat and add the garlic and cook for 2 more minutes. Add the meat and cook until nearly done. Mix in the spinach and cook until wilted. 1-2 more minutes. Add salt, pepper and fresh basil to taste. Remove the peppers from the oven (they should be just a bit softened) and flip them over. Spoon the stuffing into each one. Put peppers back into the oven and roast for another 15 minutes to allow the flavors to blend. Garnish with basil leaves and serve. Optional- use zucchini and portabella mushrooms in place of red peppers. 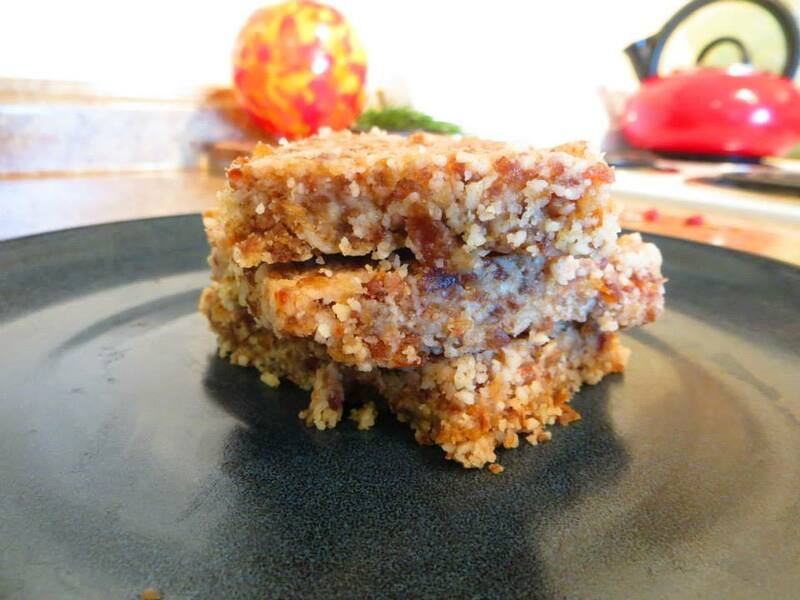 I love to make these tasty treats for hiking trips or road trips or simply with a smoothie for a light breakfast. They’ve got a subtle nutty flavor with the cinnamon and ginger giving a great little kick! The perfect amount of natural sweetness with the dates, too! Injoy! 1. 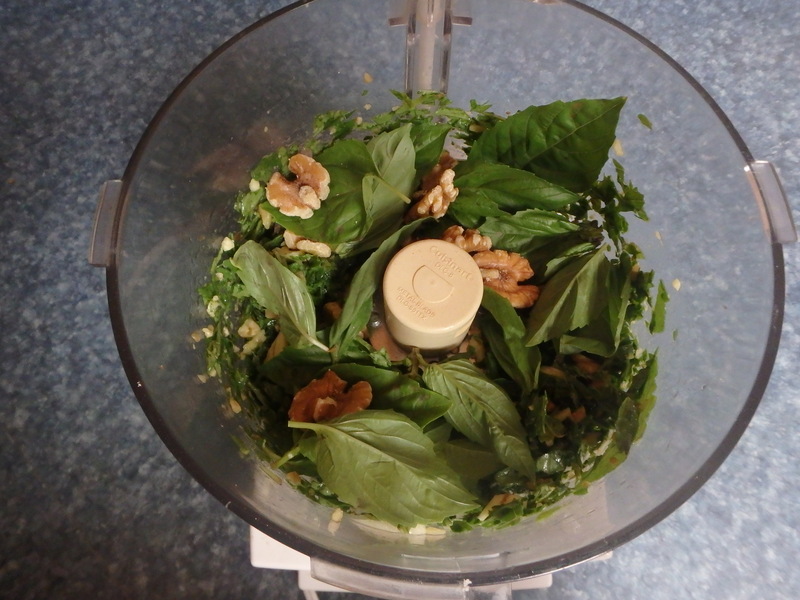 Place nuts into a food processor and blend with the ‘S’ blade for 60-90 seconds until finely ground. 2. Add the dates, spices and salt, and process another 60-90 seconds until incorporated. 3. Press mixture into an 8×8 inch pan and refrigerate 4-5 hours. 4. Cut into bar shapes and individually wrap in waxed paper. You can also roll the mixture into balls and then roll in shredded coconut. …And now a somewhat unrelated tale of caution about macadamia nuts for you dog owners. I have had a dog my entire adult life and I had no idea that macadamia nuts are extremely toxic to our little four-legged friends. A few weeks ago I made these tasty energy treats. I had about a ½ a bag of the nuts leftover and stashed in my pantry. 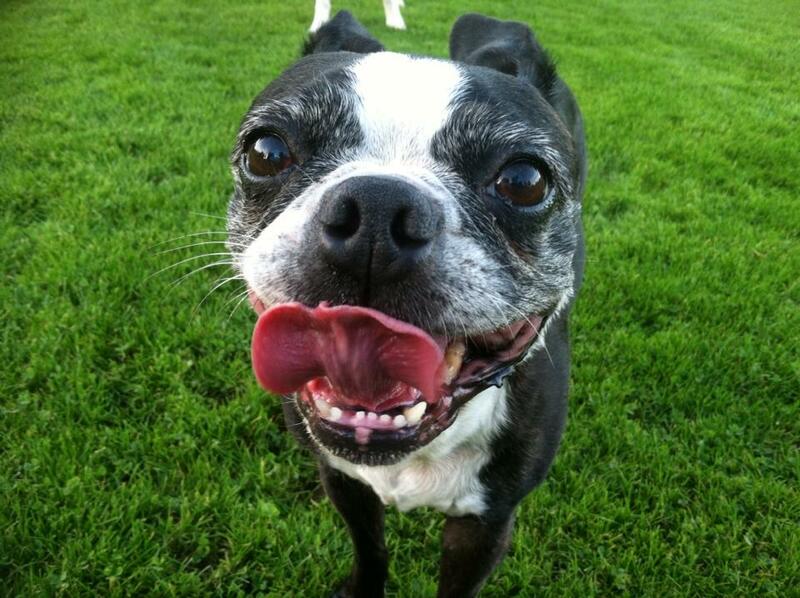 Miles, my Boston Terrier, sometimes gets board on days home and entertains himself by rummaging through closets and cupboards (child safety locks have since been installed in my kitchen). On this particular day, he found the bag of macadamia nuts and ate roughly ¼ cup of them. Later when I got home from work, I walked in the door and he did not come to greet me. He just lay on the couch and stared in the opposite direction. This is a surefire sign that he has gotten into something and knows he will be in trouble. I found the evidence. A chewed up bag with a few crumbs left. A few minutes later I called him to come outside and take a walk. He didn’t budge, which is very odd behavior for him. I kept calling, then went over and picked him up and placed him near the door, at which point he crumpled into a pile on the floor, unable to hold his body weight up. I tried to get him to move and help him to stand but he just couldn’t. He was essentially paralyzed. I started feeling his limbs and spine to see if he had an injury of any kind. Miles is 10 years old and while he’s a spry little old man, we also have a 2 year-old rambunctious Boxer with 50+ pounds on him. A roughhousing injury is entirely plausible. There was no sign of broken bones or a specific strained muscle, it just seemed like his nervous system wasn’t firing. We rushed to the Emergency Vet. As I’m racking my brain filling out the paperwork, it doesn’t even occur to me that the macadamia nuts could have been a problem. Now, I realize this next statement makes me sound like a terrible dog owner. Miles has eaten many a nuts in his day. He once ate and entire bag of trail mix on a backpacking trip. Raisins and all (which are also very toxic to dogs). I don’t even want to think about the things he’s gotten into. He’s a terrier. A very food-oriented little dog, with guts of steel! As I’m sitting in this terrible waiting room, with bright lights and sterile furniture, people sobbing and sick pets coming and going, stressing with thoughts that they are going to come back and say he needs some crazy surgery or will require a little cart for his back legs, a good friend calls and asks if I mentioned macadamia nut specifically. She informs me that they are a neuro-toxin to dogs and can cause paralyzation. What?! Crazy. I update the vet tech and the entire plan changes. (Unfortunately not until after they had done X-rays and lots of other unnecessary, uncomfortable and expensive tests. Lesson learned). They give him a little doggy charcoal detox, pump him full of fluids and 2 hours later he walks out of the vet’s office. A little slower, but walking none the less. The next day, he is 100% better and back to getting in trouble in the kitchen. Thank goodness!! The moral of the story, no macadamia nuts for your fur babies! And now, when I make this recipe, I buy the nuts in bulk and don’t keep any leftovers in the pantry. Every so often I like to pretend I’m on Chopped (one of my favorite cooking programs) and participating in a Mystery Box Challenge. You know the one, the box of several mystery ingredients that usually don’t pair well, and a limited amount of time to create an awesome dish to present. In my version, I imagine myself closing my eyes and spinning around in circles in the middle of the produce department of my grocery store and throwing the first few items I point at into my basket. In reality I peruse the brightly colored shelves and give myself 1 minute to choose 4 random items that I’ve never worked with before and take them home to play in the kitchen. And I don’t give myself a time limit, just try to engage my creativity and come up with something seasonal and delicious for dinner. On this particular foggy Tuesday afternoon, I stopped at the produce stand a few blocks from my home. I had gone to pick out a few items for a dining room centerpiece. Hard, colorful little bundles of decorative corn on the cob, a bumpy dark green gourde and a perfectly round white pumpkin. As I shopped, more veggies were being loaded in from the farm truck and I started to get inspired. Persimmons, about 9 different varieties of squash and lots of leafy greens were beginning to stack up near the entrance. Mmmmm! A perfect opportunity for a Mystery Box Challenge! I glanced at my watch and begun the 1 minute countdown. I knew those perfectly ripe persimmons were coming with me, so I immediately put 4 into my basket. After that, I passed the pyramid of jicama, a yam-like vegetable from Mexico. I had no idea what to do with that, perfect! Into the basket. Next, I walked quickly over to the herb section. Mint and fresh ginger jumped out at me. Not a likely pair. I very rarely cook with mint unless it’s sprinkled on a fruit salad, so that was a great addition. And ginger I’ve mostly only used in smoothies, tea and an occasional pumpkin pie. Into the basket they went. Lastly, I knew I wanted something with a kick. I grabbed the first hot pepper I saw, which happened to be an Anaheim chili. Great! Done! On the way home, I also stopped by the butcher and picked up a couple of lamb chops for protein and snipped a few sprigs of rosemary from my neighbor’s enormous hedge. Back in the kitchen, my culinary adventure began. Without realizing it initially, several of the ingredients come from the warmer southern region and actually pair together quite nicely. 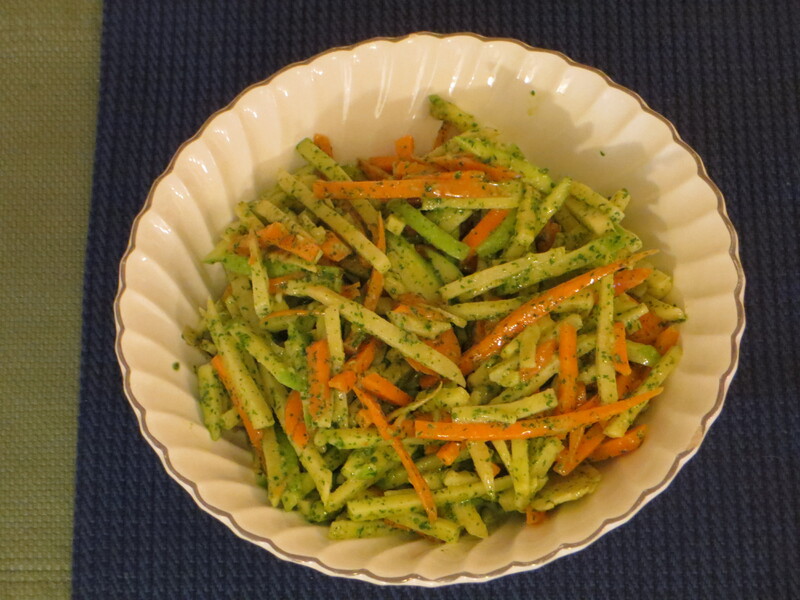 I used the jicama and fresh mint in a slaw with green apples and carrots. 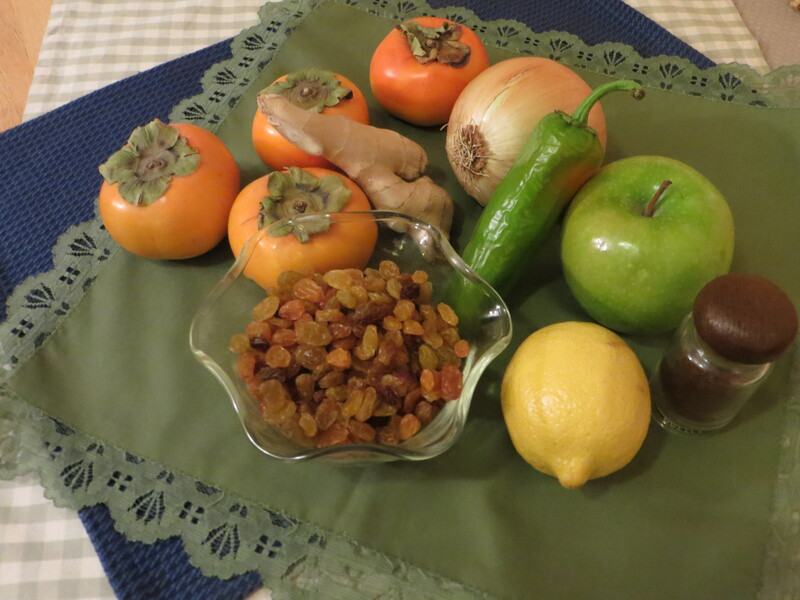 The persimmons I made into chutney with the chili and ginger along with golden raisins, green apple and other warming spices. This went perfectly with the lamb chops, for which I made a rub with the fresh rosemary and some garlic and sea salt. It all came together beautifully! 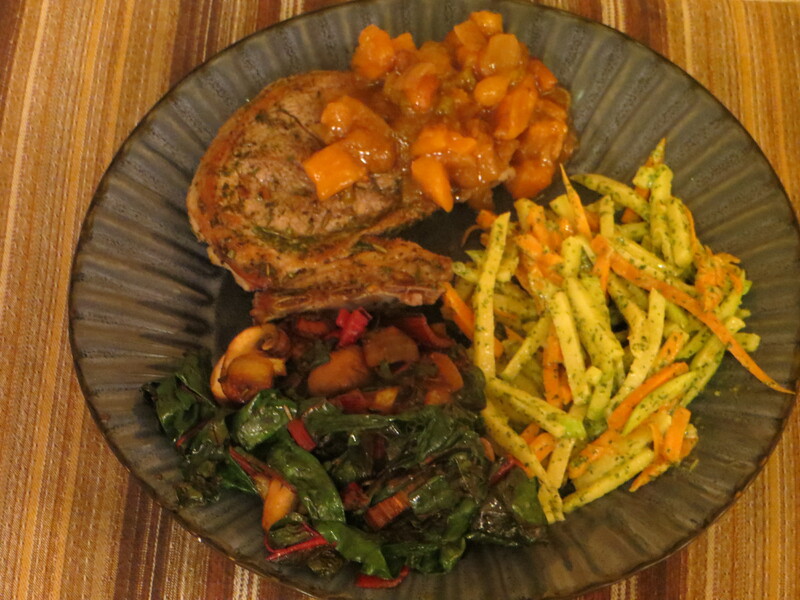 In addition I did sauté up some kale and onion with coconut oil as the plate was looking a bit void of greenery. When is the last time you challenged yourself in the kitchen or in other areas of your life? Where do you become your most creative self? Do you tend to stay within your comfort zone much of the time? There is a popular saying ‘Magic happens outside your comfort zone.” I certainly agree with that sentiment and the delicious meal created that day is a shining example. This week, think outside the box. Pick up an ingredient you’ve never worked, or try a new technique in the kitchen you’ve never tried (wok much?). Challenge yourself, get creative and have fun! Injoy! 1. 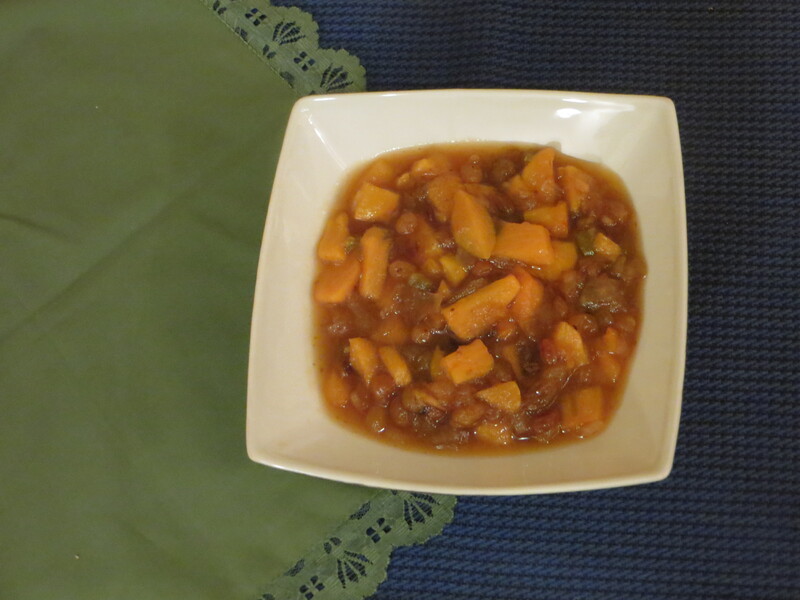 Toss apple, jicama and carrots together in a large bowl. 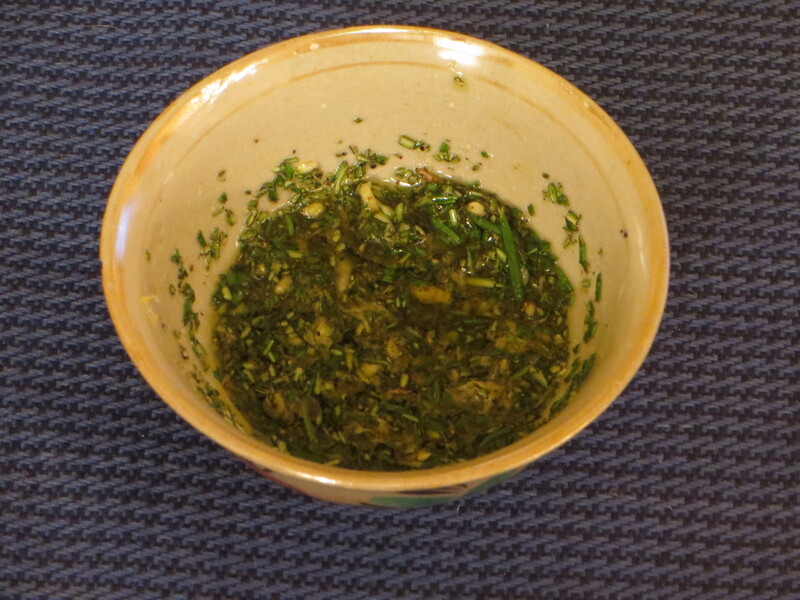 2 Place mint leaves, olive oil, sugar, vinegar, Dijon mustard and garlic in a food processor. Pulse until blended but slightly chunky, about two 10-second intervals. 3. Pour dressing over apple mixture; toss until well mixed. Refrigerate until ready to serve. 1. In a large saucepan combine the apple cider vinegar, water, chopped onion, chopped apple, golden raisins, sugar, lemon juice, chili, ginger, lemon peel, coriander and cloves. Bring to a boil over medium heat, stirring occasionally. Reduce heat to medium-low and simmer until mixture thickens, stirring frequently, about 25 minutes. Add the persimmons and simmer until the persimmons are tender about 5 to 10 minutes. 2. Remove from the heat and let cool completely. Cover and refrigerate chutney. May be made a day or two ahead. 1. In a small bowl, mix the rosemary, salt, pepper, garlic, and 2 tablespoons of the olive oil together. 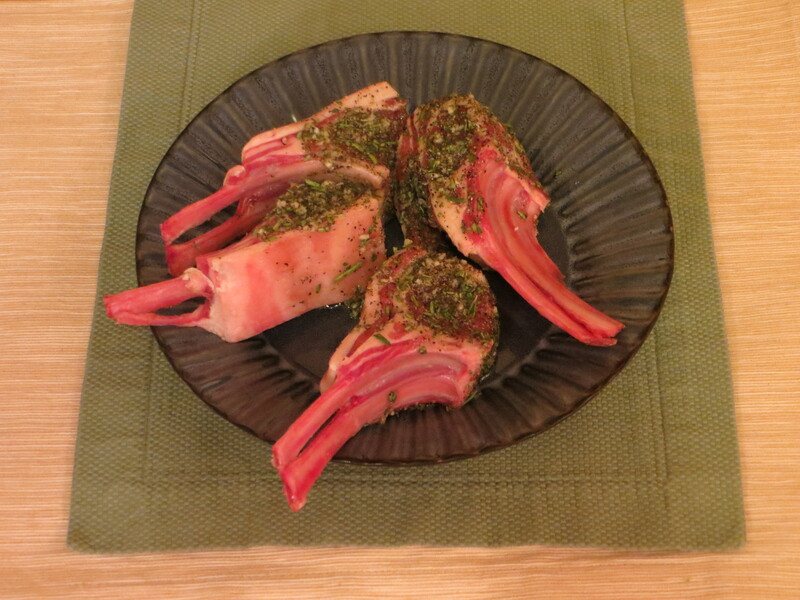 Coat the lamb chops with the mixture, massaging it into the meat with your fingers. Cover and let stand at room temperature for 30 to 45 minutes. 2. Heat the remaining 2 tablespoons olive oil in a sauté pan over high heat. When the oil is shimmering hot, sear the lamb chops on all sides, about 2 to 3 minutes per side.